Pavingexpert - FAQ - Flags laid upside-down? Does it actually matter if Indian sandstone is laid upside down? It looks more rustic but will the performance be the same? In theory, there should be no enormous performance issue if the stone is laid upside-down but a little bit of care an attention is needed. 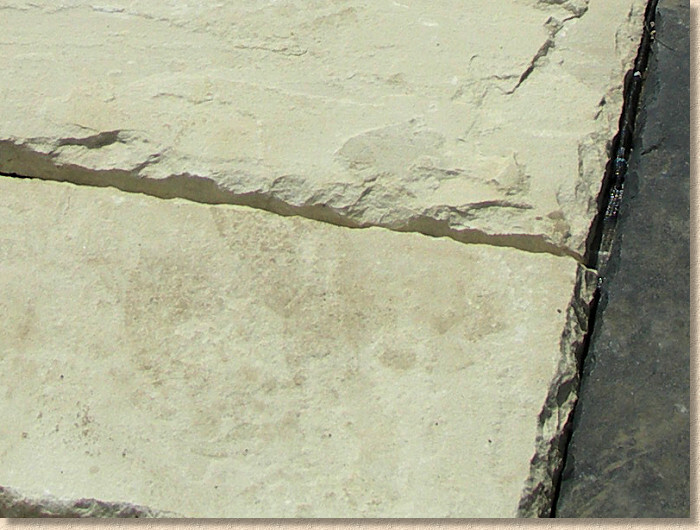 When a slab of stone is selected for use, the mason responsible for trimming assesses which would be the better face. This is usually based not just on appearance but also the profile, by which we mean how many lumps and bumps are present. If you look at the underside of many riven (not calibrated) flagstones, you often notice that the underside has a much more uneven profile than the top surface. Further, because the arrisses (the edges) are not trimmed to set size, any jointing between inversely-laid flagstones will vary significantly in width. And this can look untidy (or "rustic" as some would have it!). 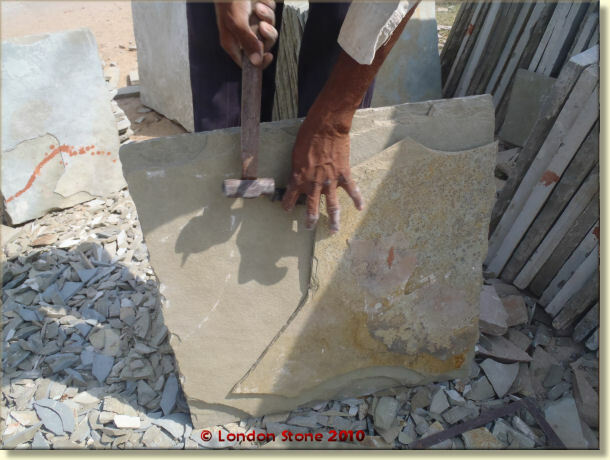 However, because the joint is essential a wider-at-the-top triangle, there is greater risk of any mortar jointing becoming loose unless it is a genuinely good quality mortar and it is fully bonded to the edges of the joint. 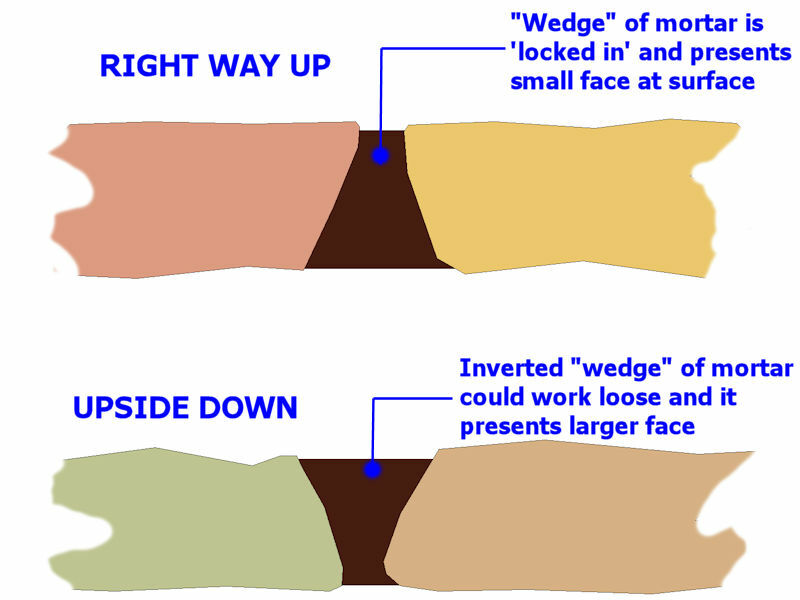 Uneven profile, variable joint widths, and damned ugly - just three reasons not to lay uypside-down! 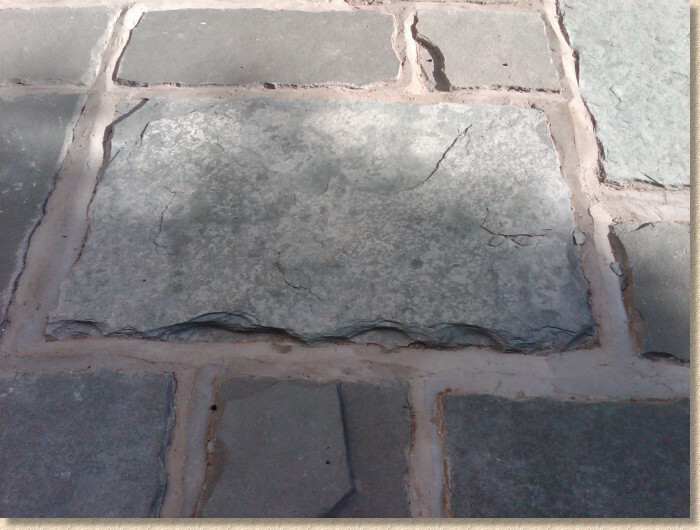 Finally, if anything was to go wrong with the paving, if, for instance, it started to delaminate or crack or crumble, there is a risk that the supplier could (and would) reject any claim for compensation of replacement because the flagstones were not laid in accordance with installation guidance and/or best practice. 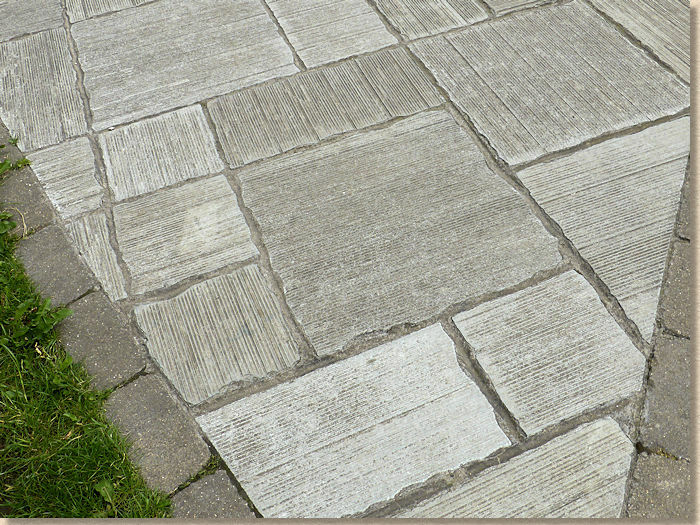 Any clued-up contractor asked to install paving in this fashion would insist on a signed instruction from the client recording that the contractor had advised the client that the method of installation was not recommended and absolving them of any responsibility should there be problems during the service life of the pavement. So, while you could, if you so wished, lay these flagstones upside-down, it really is much better to lay them as intended. Calibrated limestone laid upside down with strip-milling marks on show.